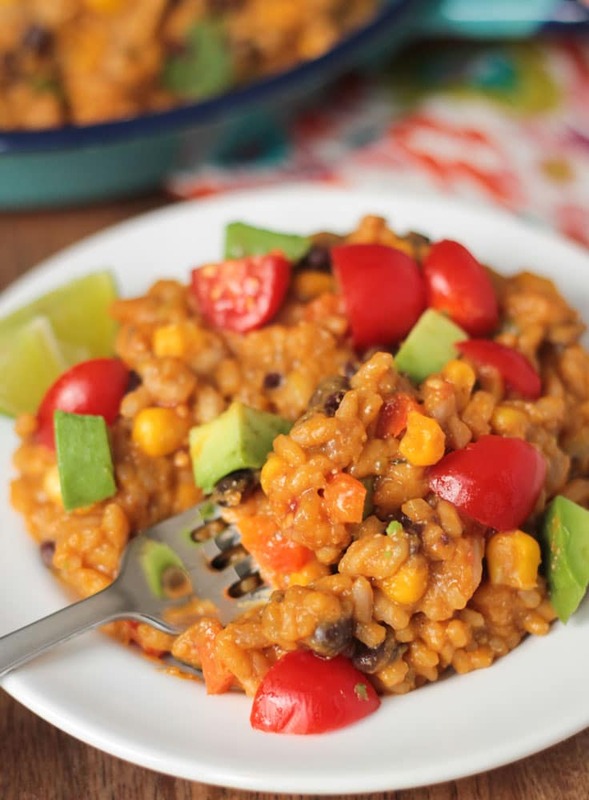 Southwest Pumpkin Vegan Risotto – a delicious, creamy risotto made with a fun tex-mex spin and absolutely no dairy! This recipe came to fruition after learning about Acquerello rice from a chef at Eataly in Chicago. He told me it is THE BEST rice for risotto because it cooks to a perfect al dente throughout. He felt that arborio rice is either al dente in the middle and still crunchy and under cooked on the outside or perfectly al dente on the outside and too mushy in the center. We don’t want that, do we? !l No! So, of course I had to buy the chef approved rice to test it out. Now, Eataly is an Italian restaurant, but I’m pretty certain you all know by know how much I LOVE the Mexican spices, so I decided to put my own spin on risotto with my favorite spices and little nod to autumn and, voila, Southwest Pumpkin Vegan Risotto was born! Is this Acquerello rice better than traditional arborio? I don’t know. Honestly, it’s been awhile since I’ve used arborio, but I know that this dish turned out ultra creamy, dreamy and delicious! However, I feel pretty confident saying if you can’t find Acquerello rice (or simply don’t want to spend $12 for a pound of rice! 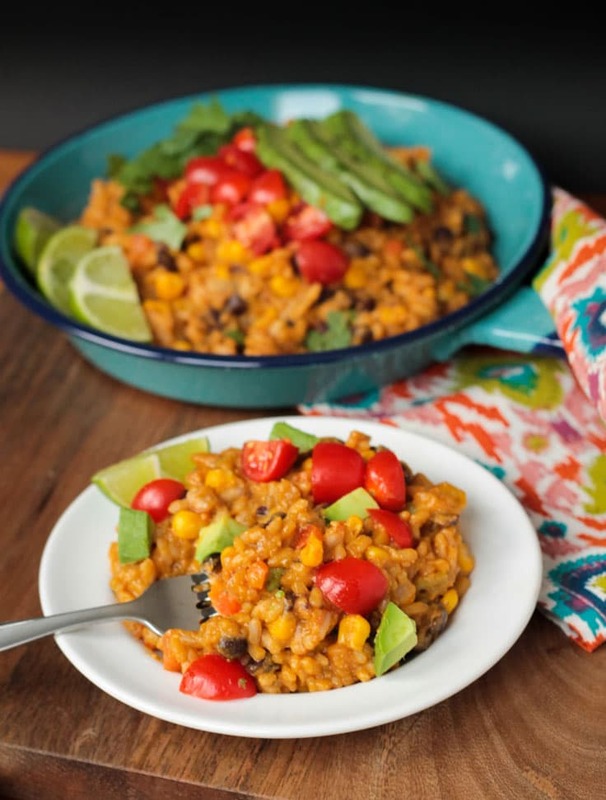 ), arborio rice would stand in just as well in this vegan risotto dish. 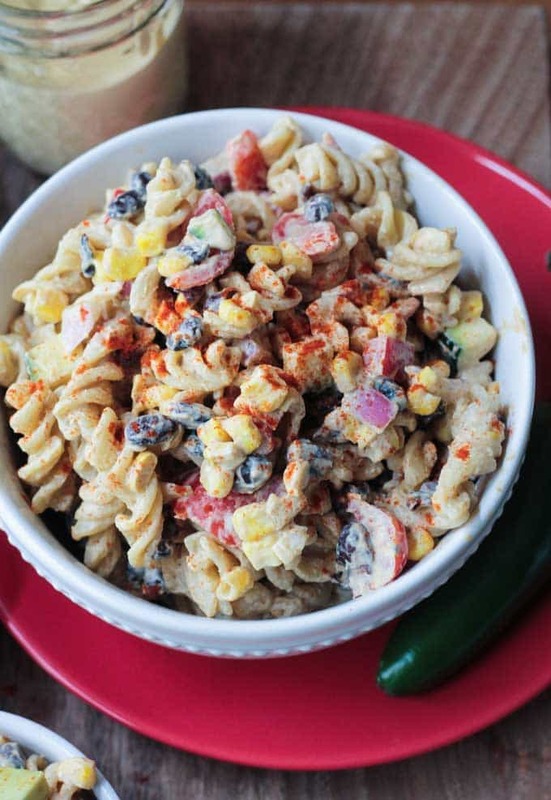 This southwest dish is flavored with the usual spices – cumin, chili powder and paprika – and a few others. But the secret to the extra creamy texture lies in the pumpkin sauce I added at the end. I doctored up a 1/2 cup of pumpkin with a little sweet, smoke and citrus. 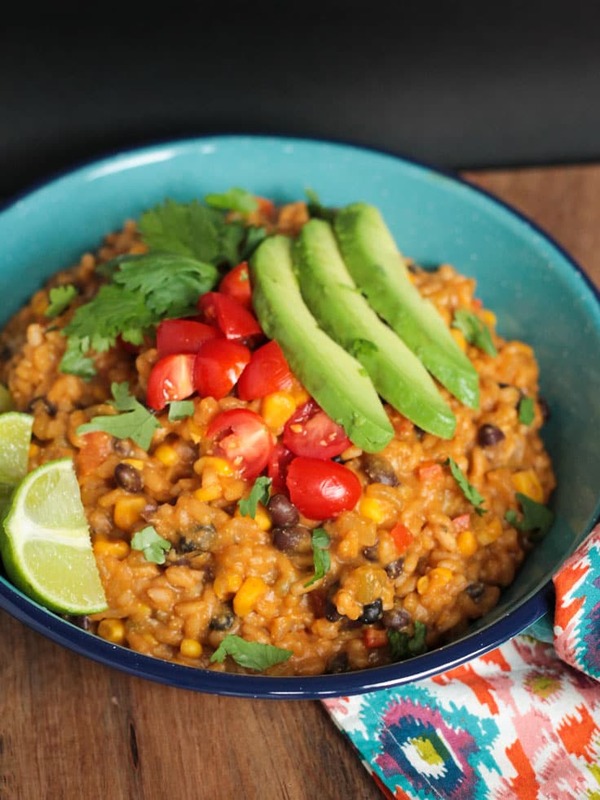 It might seem like an odd combo and its not necessarily a sauce I would use on it’s own, but added to this south of the border creamy vegan risotto, it’s a winner! Trust! I can’t even tell you how fast the kids gobbled this up. They had their bowls licked clean before I even had a chance to sit down and join them. Luckily, they all wanted seconds so I didn’t have to sit and eat alone. Not that it needs anything else, but a drizzle of my Creamy Cumin Ranch Dressing is perfect on this risotto if you want to add yet another layer of flavor. 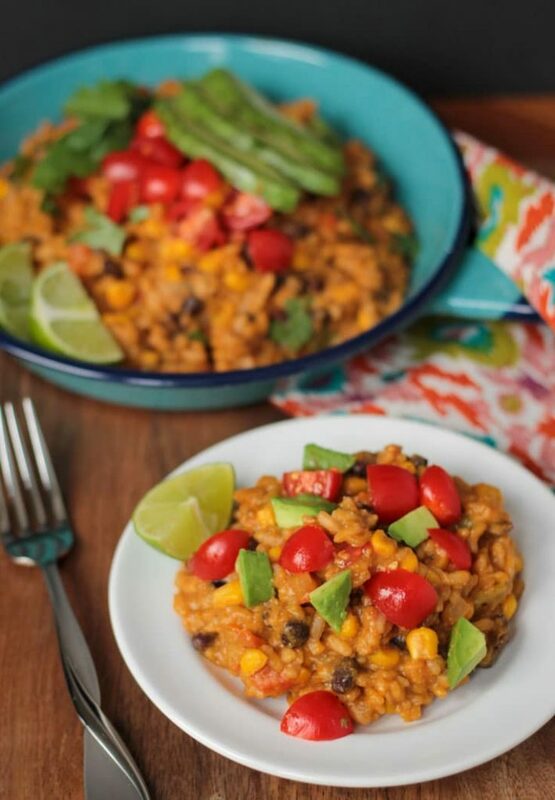 I hope you love this creamy Southwest Pumpkin Vegan Risotto as much as we do! If you try it, please come back and leave me a comment below with your feedback and star rating. 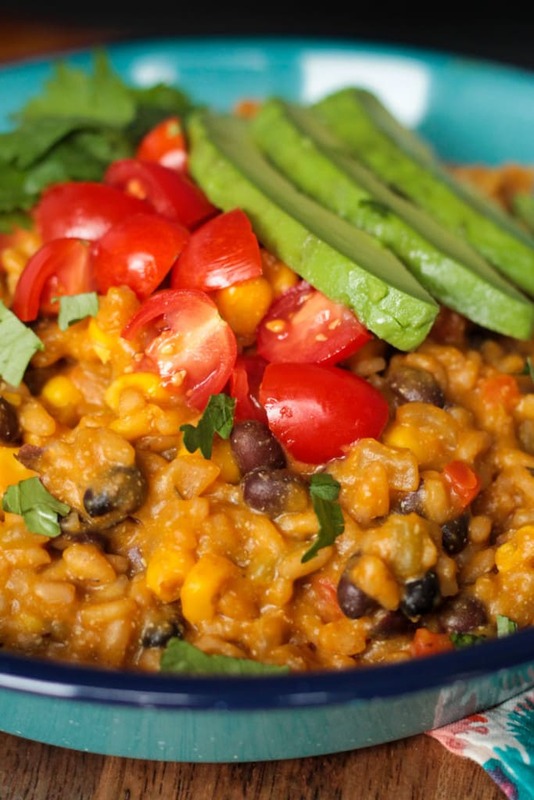 A creamy, southwest flavored risotto with a gentle nod to autumn. Gently heat the vegetable stock in a sauce pan with 1.5 tbsp of lime juice in a sauce pan and keep it warm on low heat. In a large pot, sauté the onion, bell pepper, and spices (listed under Veggies above) in 1/4 cup vegetable broth, about 5-7 minutes or until the veggies start to soften. Add about 1/2 cup of vegetable broth to the rice at a time. After each addition, stir constantly until the liquid is almost fully absorbed. It's ok if it still looks a little wet, but if you drag a spoon through the rice, it should be able to stay separated. Continue with this process until the rice is cooked through. Start testing the rice (by eating a small piece) after about 15-20 minutes. Mine took about 25 minutes, but check early just in case your cooks faster than mine did. You may not use all of the veggie broth...that's ok, but it's better to have it ready just in case. I used about 4.5 cups overall. When you are happy with the texture of the rice, take off the heat and stir in the veggie mixture and pumpkin sauce you made earlier until well combined. Taste and adjust seasonings to your liking. ~Have leftovers? 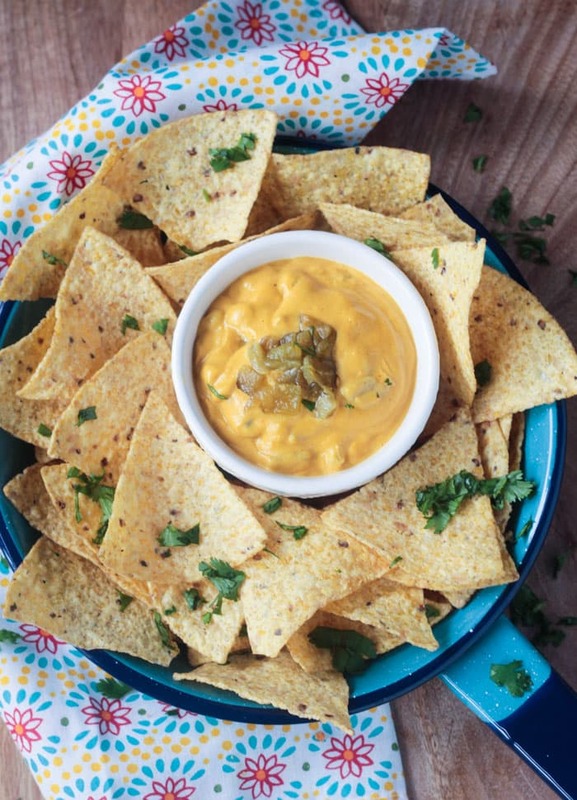 Make it into Quesadillas! ~Nutrition facts calculated without any toppings. Yum!! This risotto looks delicious! I have yet to make one this fall, so this may end up ont he table during thanksgiving! Thanks for the rice tip, Jenn! I have the same issue that the chef from Eataly does. It’s so hard to get it to cook to a perfect al dente. This flavor combination sounds so delicious. bookmarking for a yummy weekend meal. Linda, have you been to Eataly? It’s so awesome! I love that you can grab a glass of wine and wander around. So cool! Yesss!! Love this!! Totally making it ASAP. Thanks! Thank you, Sarah! Please let me know if you do and how it turns out! Enjoy! I love this combination of flavors! 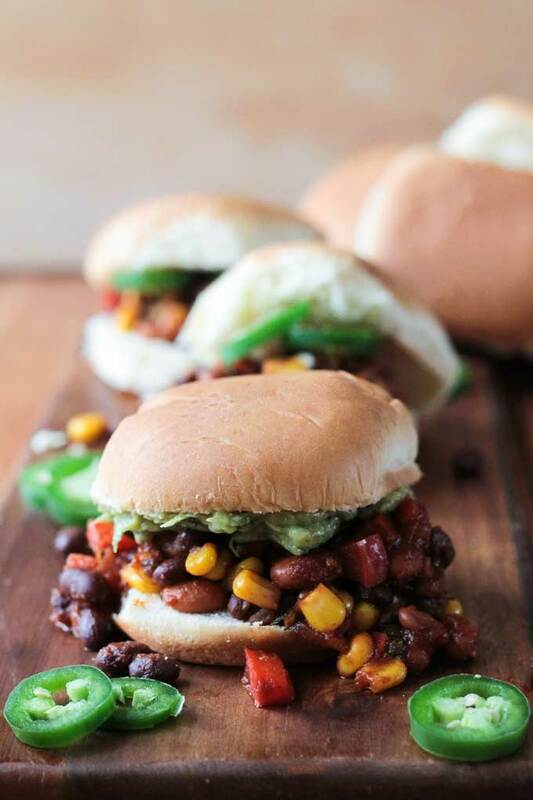 Pumpkin, black beans, and corn are the best together! Thanks, Amy! They definitely go together so nicely! I have several cans of pumpkin and a husband that loves Risotto. Guess what’s getting made this weekend! Yay! I hope you both love it! Let me know how it turns out! This looks so delicious, I wouldn’t have thought of adding pumpkin to a savory dish. Delicious. Thanks, Luci! It’s definitely not something you see every day, but it’s so good! This is such a creative recipe! Perfect for Autumn now that pumpkins are in the stores! Wow, what a beautiful and yummy recipe, it looks so flavorful and rich !! Jenn, this looks amazing 🙂 We have really similar tastes because this is totally something I would make!! I am adding this to my list of things to make from your site! Delicious! Thanks, Ceara! We definitely do have similar tastes. I LOVE all of your recipes! 🙂 I hope you love it! This looks amazing!!! It’s on my list to try! I’ve never tried using that kind of rice before. Love learning new things! I had never even heard of it before! And I’m pretty sure you won’t find it in a regular grocery store…well, at least not by me. 🙂 Thanks, Sophia! Well, it happened on a whim, but it sure did work out wonderfully! Wow, a juice cleanse….do you get to eat at least one solid meal a day? I’m not sure I could survive on juice alone! Thank you so much, Lucie! I love pumpkin season!!! This is such a beautiful and creative risotto Jenn! I’ve never had pumpkin in a savory dish before, so I’m totally intrigued! I love risotto so much. I’ll need to try it! Oh, and by the way, I finished off your spicy corn soup before getting a pic, I’ve just been so busy I didn’t get a chance, but I plan to make it again, it was delicious and my daughter loved it too! Thank you, Brandi!! I’m surprised at how many people have never had pumpkin in savory dishes. I also use it in my absolute favorite chili! You don’t really taste the pumpkin in either, but it lends such a creamy texture! I’m so glad you all loved the corn soup too! Thank you! I could dive head first into that risotto, Jenn. It looks amazing, and I love the idea of using pumpkin for a savory dish. I made a pumpkin ravioli last fall and it was so good. Thanks, Linda! Pumpkin ravioli sounds delicious!! I love using pumpkin in savory dishes. It gives it a nice creaminess, a little earthiness with a touch of sweetness. So good! Thanks, Natalie! I use pumpkin in a chili I make too. It’s an old recipe on the blog and I need to update the pictures, but it’s a yummy one! The best risotto I’ve seen 😉 Pure love, pumpkin, and comfort!! !